I apologize for taking so long to get to writing up any more of my notes from the Division for Planetary Sciences meeting. It was an excellent meeting, packed full of great talks and thoroughly enjoyable hallway conversation, and I have tons of notes and tweets to sort through and write up. As I only have one hour left in my work week, though, I'm just going to hit one talk, one of the last I saw today. I'll get to more of the great DPS content next week, when I'll also have to catch up on Curiosity! Lindy Elkins-Tanton gave a presentation that I think did a really tidy job of explaining some peculiar qualities of asteroids. The meteorites we have on earth are fragments of things that were once much larger. Some of these larger things were "undifferentiated," and others were "differentiated." "Differentiation" happens when a silicate body gets hot enough for at least some of it to melt. A dense iron-nickel fluid separates and sinks to the center, while the silicate part of the fluid forms various kinds of silicate minerals that make up a rocky mantle topped with a basaltic crust. 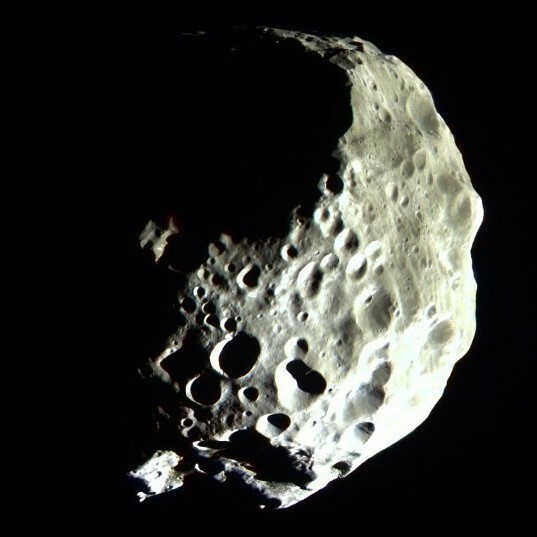 Vesta is differentiated. "Undifferentiated" means that the asteroid was made of coalesced particles of the raw materials of the solar system that never got hot enough for this to happen. The top row of the cartoon below shows an undifferentiated asteroid on the left, a differentiated one on the right. As usual when you discuss endpoints of any physical process, the really interesting thing is what happens in the middle. The second row of that diagram shows two possibilities. 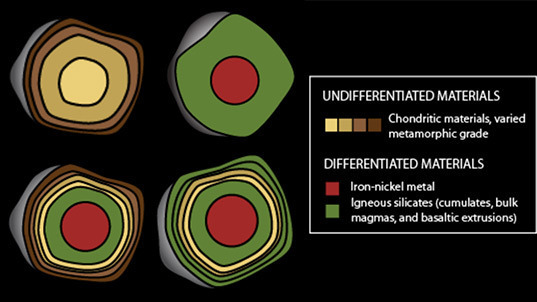 On the left is a thing with a partially differentiated center -- it has an iron core and a silicate mantle -- lying hidden underneath an undifferentiated, primitive chondritic crust. On the right is essentially the same thing, except that lavas from that originally melted mantle once squirted out onto the surface, covering the primitive crust. Since the lava is made of a melt that is relatively depleted in dense, heavy elements like iron and nickel, you'd expect those lavas to be considerably less dense than the primitive chondritic crust, so they'd want to rise to the surface and erupt. In a photo captured a bit less than five hours before its closest approach, Rosetta's OSIRIS camera captured a detailed view of the full globe of 21 Lutetia, the largest asteroid yet visited by a spacecraft. 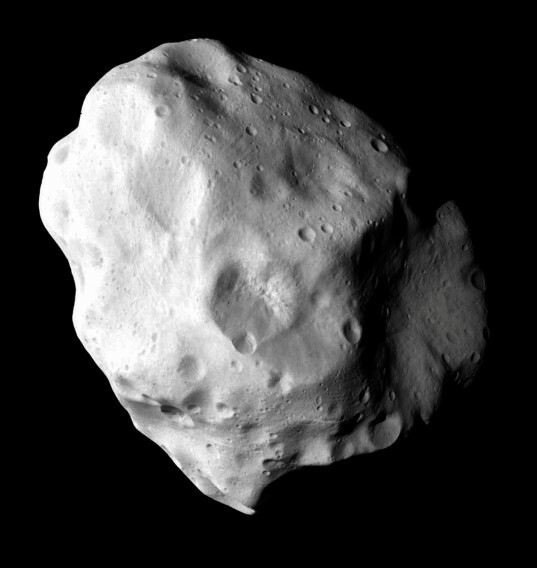 The large size of Lutetia is important; it's the first asteroid visited by a spacecraft that is large enough for the heat of its formation to be important geologically. Spectral observations suggest its surface is like that of a carbonaceous chondrite or enstatite, meaning it appears mineralogically undifferentiated; if Lutetia is undifferentiated, then it was never geologically active enough to separate into rocky mantle and metallic core. Lutetia's density was found to be about 3.5 grams per cubic centimeter (which is at the high end of normal rock-forming mineral densities, and the same as the density of Vesta). If Lutetia is chondritic in composition, that implies its porosity is near zero. But given its surface properties and past experience with other asteroids, you'd expect Lutetia to have 15 to 25% pore space. One way to reconcile these observations is if Lutetia is a partially differentiated body, with an unmelted crust of some depth (which, Andy Rivkin remarked in his notes, was not formally stated, but sounded like about 20 kilometers based on Weiss' response to a later question); the crust would overlie a partially differentiated body. Weiss argued that this was potentially a common situation in the asteroid belt. Another piece of evidence for asteroids with differentiated interiors and undifferentiated crusts is the Allende meteorites, which are primitive carbonaceous chondrites yet which apparently were once part of a body that had a magnetic dynamo, which means it had to have a liquid metal core. Asteroids heat up when they form because they incorporate radioactive elements like aluminum-26. But the heating doesn't happen all at once; they don't go straight to melting. When the heating is gradual, and the asteroid is relatively small (under 200 kilometers), you can get the following sequence of events (which Lindy described in a Lunar and Planetary Science Conference presentation this year). First, at around 250 K, water ice (and other volatile ices) melt. This water is very much not dense and percolates upward toward the crust. If it's not lost entirely before the asteroid heats to around 600 K, the water reacts with silicate materials to form a mineral called serpentine. Heat it a little more, to about 700 K, and the rocky granules from which the asteroid coalesced start "sintering" -- they don't melt, but the grains start fusing and annealing even while solid, compressing out pore spaces, turning a granular thing into a solid thing. Heat it some more, up to about 900 K, and the serpentine starts losing its water. 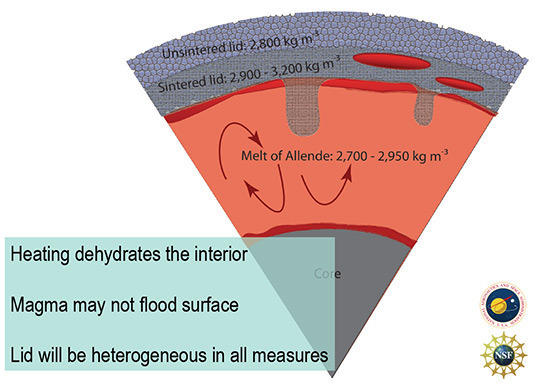 Under pressure in the sintered rock, the water rises rapidly toward the surface. Depending on the surface temperature of the asteroid, the water may freeze in the crust, or it may just boil off into space. Deprived of lightweight, volatile elements, the remaining silicate materials in the asteroid's interior may continue to heat up and even to melt. But the melts that this "dry" rock produces will be relatively dense, less dense than the uppermost, unsintered, unmelted, primitive chondritic material that forms the asteroid's crust. It's a neat story and one that should in theory be testable if we are able to identify a lot of meteorites from a lot of different levels within a partially differentiated body, or if we can see some of this kind of structure in a smallish body that has been hit by something big enough almost to break it apart. That makes me think of Phoebe, which surprised us with the layering evident in its big crater walls. Phoebe isn't quite the kind of thing that Lindy was talking about -- it is primitive, but it's also mostly icy -- but I wonder if there are asteroids out there that betray their internal structure the way Phoebe does? Thanks for this good update! I can't remember if we ever found by even radar scans and or other observations a true asteroid that is a so called rubble pile (loose collection of asteroids (2 or 3 for example) that have had the gaps dust filled in over time so that they initially appear as one asteroid. Does anyone know of any examples? Also: is there any update yet on 2012DA14's orbit? It's CA was last calculated (that I have) to be 3.2 > X < 3.5 radii on 02/15/2013. Thanks.